My special friend, Heather, knew my birthday was just around the corner and she knew I was beginning to knit and crochet in addition to my patchwork and quilting. Heather used this wonderful pattern from a favourite craft publication as the feature of a knitting needle/crochet hook roll for me. 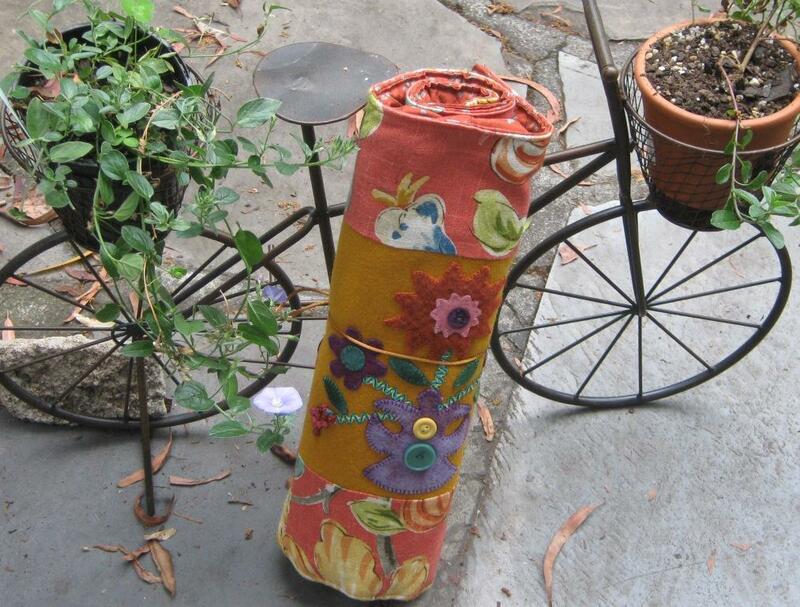 This adorable roll stores all of my newly acquired needles and hooks and makes their transportation so easy. Heather used the colour pallet from the rich toned furnishing fabric when choosing her pieces of felted wool, trims and buttons. 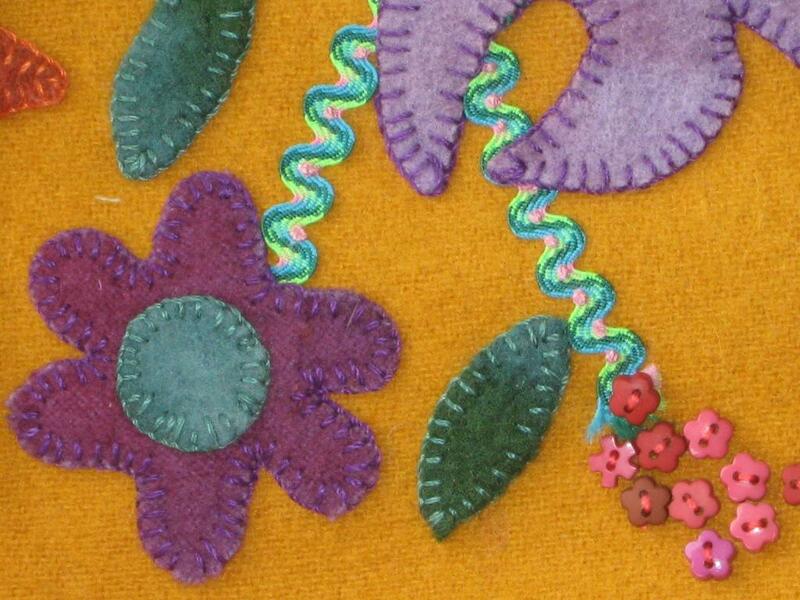 The Aurifil Lana Wool Thread was used to add the sterling stitchery. This has become a cherished Birthday present from a dear and talented friend! 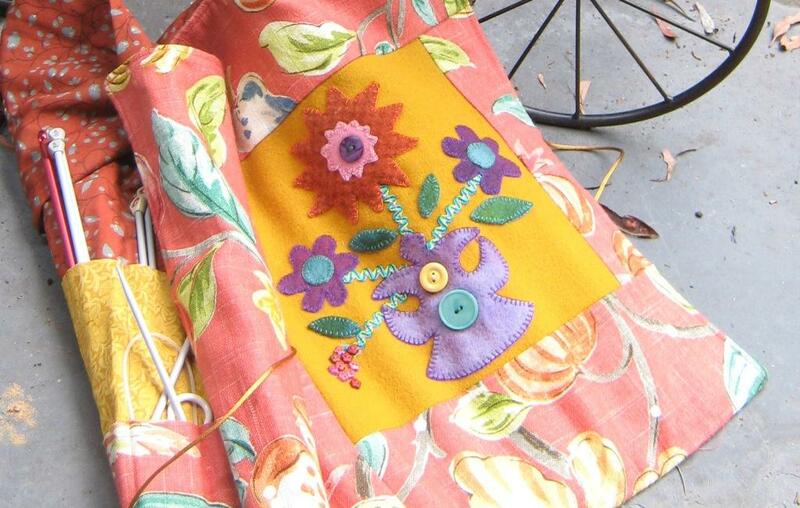 Show us your inspiring work with Aurifil Thread! !